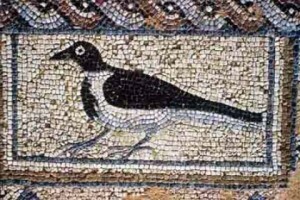 GRECE – Livanates Beach - A 5th Century Christian Basilica was discovered at Livanates Beach near Lamia of Greece, after a heavy rainfall had revealed a small part of mosaic floor belonging to the Christian Basilica. The discovery is a very interesting religious construction, depicting colorful geometric drawings and beautiful renderings of animals’ figures. Moreover, the inscription on the Basilica, (ΥΠΕΡ EYXHC ΚΕ CΩΤΗΡΙΑC… /ΕΑΥΤΟΥ ΚΕ ΠΑΝΤΟC ΤΟΥ ΟΙΚΟΥ [ΑΥΤΟΥ]… / Ο ΘΑΥΜ (ΑCΙΩΤΑΤΟC) ΕΚ ΘΕΜΕΛΙΩΝ EKTICEN) written in the Greek language, indicates that it is a Christian Basilica dating back to the 5th century. The head of the excavations conducted by the 24th Ephorate of Byzantine Antiquities is the archaeologist Georgios Kakavas. The excavations that started in 2009 unearthed colorful mosaic floors on a daily basis, while the collapse of the Basilica was found to be due to a high-magnitude earthquake in 551 A.D.
INDE – Chhattisgarh - In an 'incredibly significant find', archaeologists have discovered prehistoric remains at a river bank in Chhattisgarh’s Sarguja district, indicating continued settlements in the area from prehistoric to late medieval period. 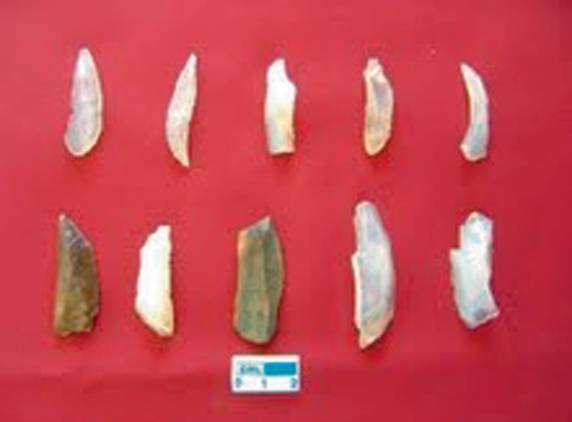 The tools and artefacts were found during exploration survey by archaeological department of Chhattisgarh government in January this year on the banks of river Renuka (called Renu by locals) in Mahespur area, nearly 40 km from district headquarters town of Ambikapur and around 350 km from Raipur. “We have discovered earliest stone age tools on the banks of river Renu. This is an incredibly significant find, since this is the first time Palaeolithic (stone age) tools have been discovered in Chhattisgarh. 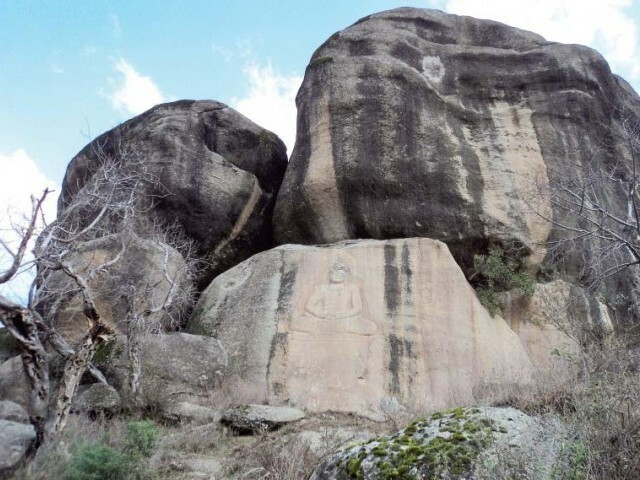 The remains, retrieved from Mahespur, also establishes for the first time a continuance cultural sequence from prehistoric to late medieval period,” archaeologist Atul Kumar Pradhan said on Sunday. “The survey has yielded ten lower palaeolithic, twelve middle palaeolithic, seven upper palaeolithic and fifteen mesolithic artefacts. 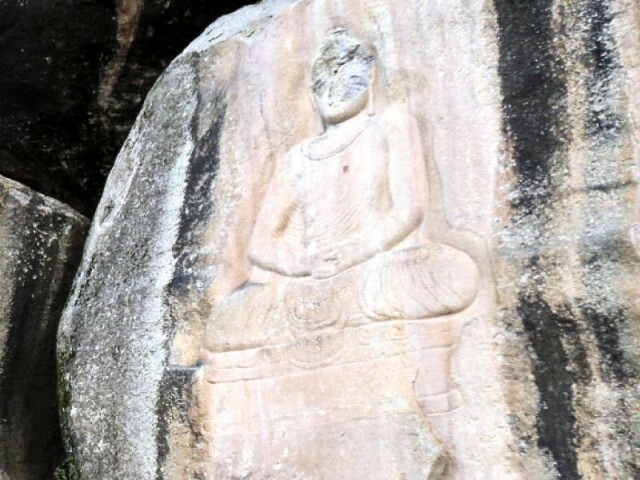 continuous process,” the archaeologist said. 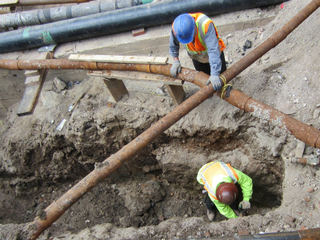 USA – Manhattan - Workers digging beneath Fulton Street have unearthed another historic treasure this week — a stone wall that dates back to the Revolutionary War. 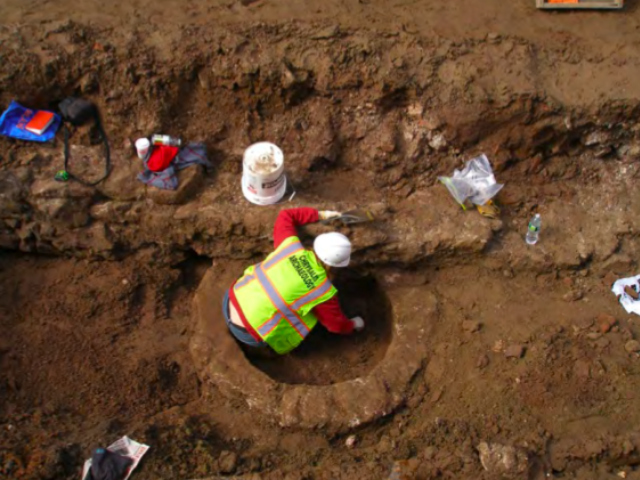 The 6-foot-long wall, found seven feet under the ground in front of 40 Fulton St., was likely part of an 18th-century building that may have belonged to the Van Cortlandts or the Van Tienhovens, two influential early New York families who both owned property in the area, according to Alyssa Loorya, the archaeologist who is documenting the find. The wall was later buried in landfill when Fulton Street was extended toward the East River. The discovery of the wall follows several major finds last year in front of 40 Fulton St., near the corner of Pearl Street, including two wells and more than 5,000 artifacts from the turn of the 19th century, from a bone toothbrush to a copper half-penny. The 18th-century stones had a different texture and shape from the surrounding rubble, and after some careful digging, the entire 6-foot-long section was exposed. The wall is nearly 3 feet thick and 3 feet tall, though it was likely much taller originally, Loorya said. 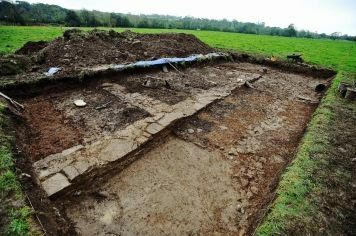 ROYAUME UNI – Taunton - Archaeologists have discovered important evidence of Taunton’s past as a fortified town and, later, a thriving market town. Excavation at Castle Green has brought fascinating glimpses of the past to light, including a skeleton and some human bones. Further analysis is being carried out to determine when the person died, their age, what their diet was and if they had diseases that can be found within the bones. Work is being carried out as part of Project Taunton and Taunton Deane Borough Council’s enhancement of Castle Green to turn the old car park into a paved and landscaped open space. The dig is being carried out by AC Archaeology and Britannia Construction, the company contracted for the transformation of Castle Green. Most of the site lies within the precinct of the mediaeval Taunton Castle, a protected scheduled ancient monument, and Castle Green was once the outer bailey of the castle with barns, a chapel and graveyard. The Norman castle was built over a large part of the Saxon cemetery and skeletons were first noted in 1943 by workmen digging a gas main near the Winchester Arms pub. ISRAEL – Jerusalem - The authenticity of a burial box purported to have been for the "brother" of Jesus Christ remained shrouded in mystery on Wednesday after a Jerusalem court acquitted an Israeli private collector of charges he forged the artifact. 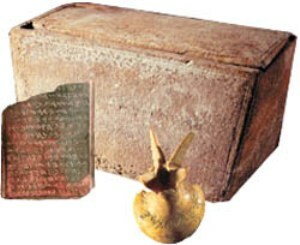 The court, in finding Oded Golan not guilty, noted that expert witnesses could not agree on whether an inscription on the 2,000-year-old limestone box which reads: "James son of Joseph, brother of Jesus", was genuine or had been forged. The authenticity of the so-called "James ossuary" will likely "continue to be investigated in the archaeological and scientific arena, and time will tell", the court said. The decade-long mystery has haunted archaeologists and religious scholars worldwide. It has focused on what could be the earliest, most concrete evidence of Jesus's life in Jerusalem and suspicions of the most sophisticated of forgeries. The saga began in 2002 when Golan, supported by Andre Lemaire, a renowned French scholar of ancient texts, said the ossuary, a limestone box for storing bones of the dead, had on its side the inscription "James son of Joseph, brother of Jesus". James, who was believed to have been stoned to death in 62 AD, is mentioned in the Gospels as Jesus' brother. But the Roman Catholic and other Christian churches believe Jesus had no siblings. Around the same time, another of Golan's artifacts surfaced, the Jehoash Inscription. It is a stone tablet supposedly carved with a Hebrew text that describes renovation work on the first biblical temple by King Jehoash nearly 3,000 years ago. 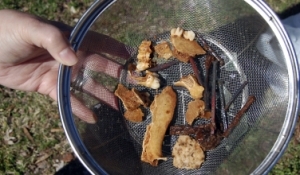 USA – Salisbury - Pig teeth were among the most exciting relics uncovered Saturday during an amateur archaeological dig at the Salisbury Confederate Prison site. Volunteers won’t know until Dr. Ken Robinson, a professional archaeologist who directed the dig, conducts further study whether the teeth, bone fragments, pottery, glass, square nails and other artifacts they unearthed came from the prison. The only Confederate prison in North Carolina, the Salisbury prison was established in 1861. The dig likely was located between three buildings constructed for prison use along East Bank Street, said Bob Tannehill, of Salisbury. The lot is only a small part of the sprawling prison site that covered 16 acres and included a three-story cotton factory and several other smaller buildings.